A busy multi-lane concrete ramp with side boarding docks and lanes between a string of boarding floats. Park amenities include picnic shelters, grills, hiking and biking trails, roller rink, and a golf course. 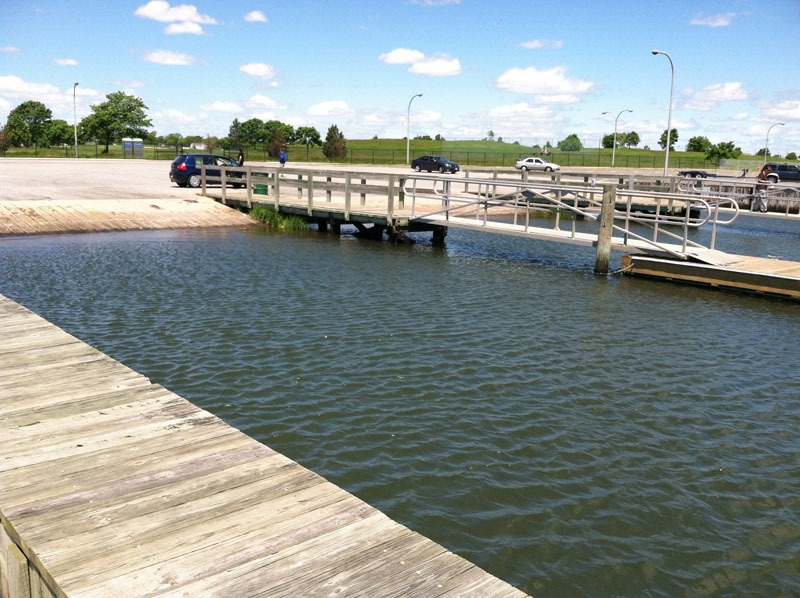 Status: Prefab ADA accessible kayak docks are to be added to finger floats at the ramp 2016.